Each spring the Longwood Center for the Visual Arts sponsors the Annual Area Youth Art Exhibition, a show mounted on the LCVA's Lower Level. 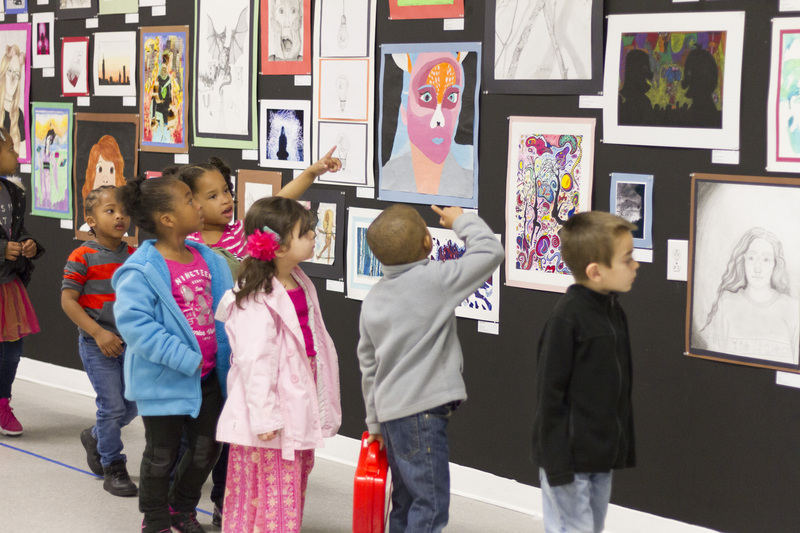 This year’s exhibition included works by over 2,000 Pre-K to Grade 12 students from 44 public, private, and home schools in 12 counties with the efforts of 50 art teachers. Participating counties include Albemarle, Amelia, Appomattox, Buckingham, Charlotte, Cumberland, Goochland, Lunenburg, Mecklenburg, Nottoway, Powhatan, and Prince Edward. In 2018, the 17th annual youth art exhibition will run from March 11 – April 8, with a free opening reception for the young artists, their families, and the adoring public.